Prime Commercial Corner! 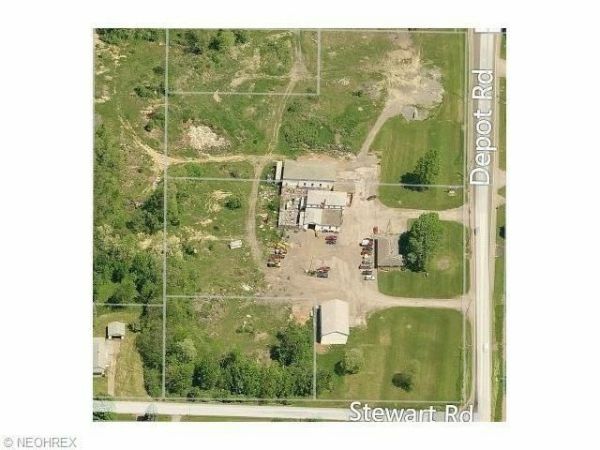 Over 14 1/2 Acres For Sale. 1,017' Frontage Along Pidgeon Road, Approx 861' Frontage Along Depot Road. Excellent Visibility and Access. Improvements Include: Gas, Electric & Water and New Sewer Access is across street. Zoned Business District. Located in Northeastern Ohio, Perry Township, Columbiana County.